4. 1 plays and supports 2 who sets back and spins, 1 plays to 3 who does 1-2 with. 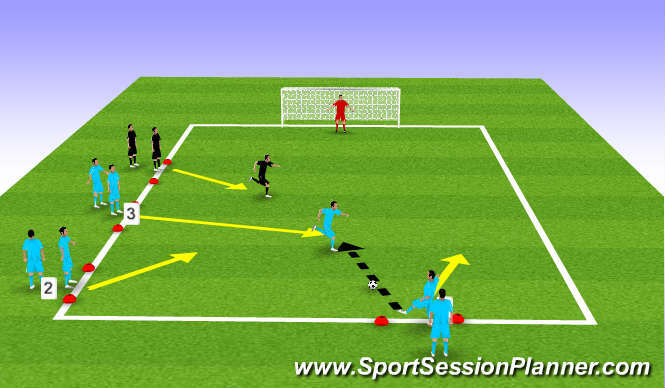 Key Points: Passing Accuracy, Quality of touch, Play to appropiate foot, Timing of movement, Signals and cues, Movement. 2 teams of 5 with keepers. Teams set up with 2 field players in each half. 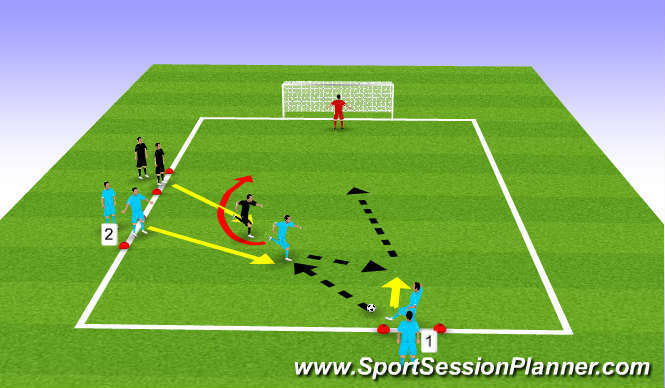 Team in possession can overload the half where the ball is with 1 addidtional play. 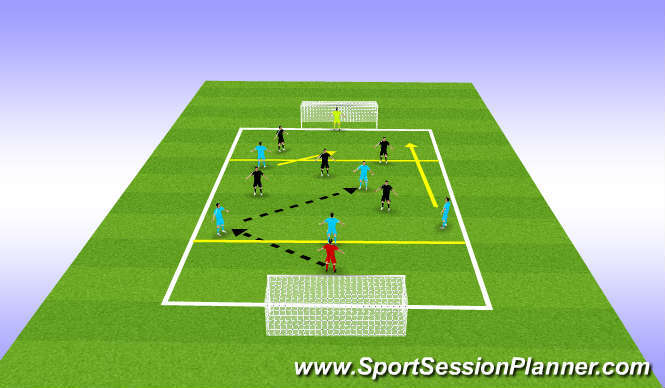 defending team must keep 2 players in each box. 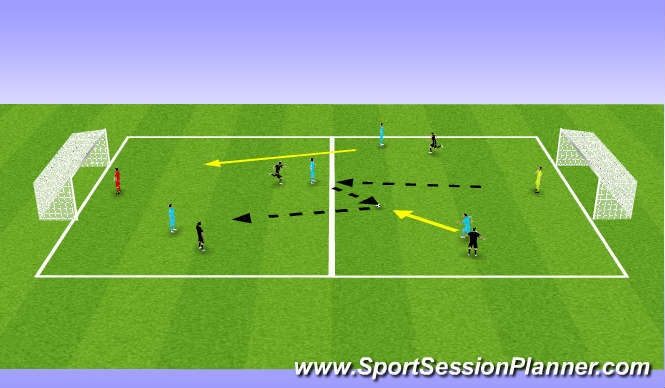 Def: Width, body angles, 3rd man movement forward, support underneath, quality of passes in to higher players. 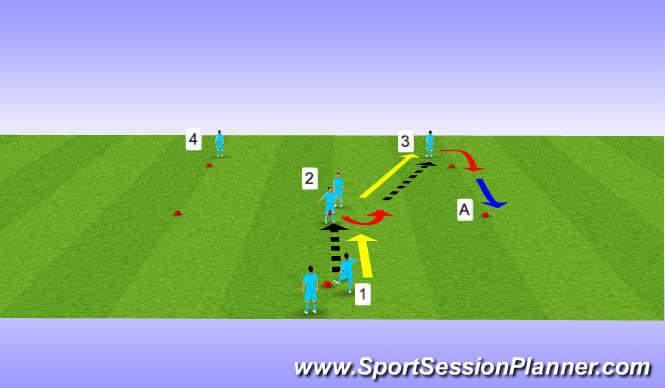 Objectives: Reinforce the attacking movement, and coach within flow of game, let the player play.